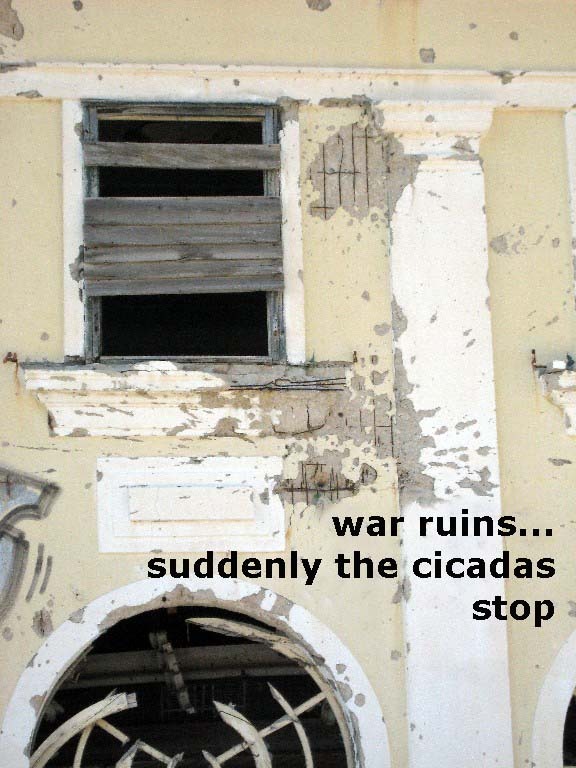 Author’s note: The photo was taken (and the haiku was composed) in a bombed out hotel complex on the Croatian coast last year. How often I've had that feeling at reading war haiku…the depths would silence even the cicadas…there are no words. Thanks for this one. Thank you for such a vivid picture. I thought the haiku was poignant in itself, but the photo adds another level of depth. Most excellent haiga. David Serjeant, I like your work—great photo, great haiku! Uneasily, felt like was there.